Do I Want To Do What It Takes To Have This? Really? I was standing in a consultation client’s yard the other day, and we stood looking at a section next to the south side of her house. The client was a busy woman, who didn’t have much time for gardening, so throughout the entire conversation I suggested ways that she and her husband could keep most of what they had, but make changes that would improve the appearance without adding to the workload. As we looked at this sunny area by the foundation, the woman told me she’d like a few plants for cutting flowers. I mentioned that peonies and phlox ‘David’ would do well there, and she said she’d like space for a few dahlias…so far so good. “And maybe some purple foxglove,” the client continued. So I gave her the lowdown on foxglove. The kind she wanted is a biennial, meaning that it grows one year, blooms the next, and then it dies. If you want to be sure to have it every June, you must annually start some seeds, or buy young plants to put in for the following season. I consider foxglove to be a gardener’s plant, not the best choice for home-landscapers. What a wise woman. 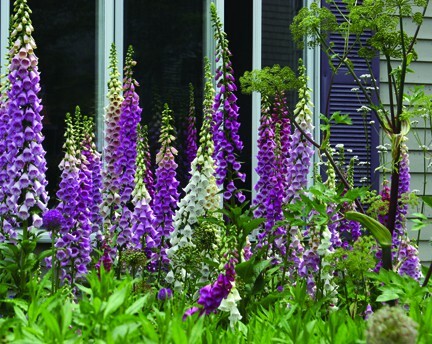 She recognized that although she might love how purple foxglove looks, she isn’t in the time of her life when she is able to grow a display of this lovely plant. I only wish that all of my consultation clients were this realistic. We are well served to know when to go after something that we’d like to have, when to put the desired item on a “perhaps in the future list”, and when to leave it for someone else to grow. One year I planted many foxglove seedlings and, because there was a good snow cover all winter, they all bloomed the following June. 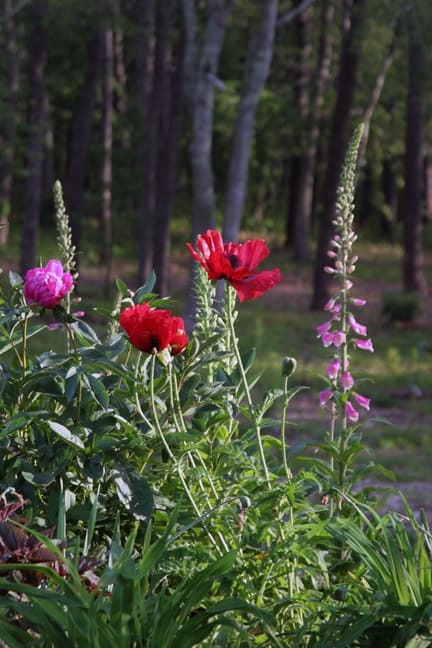 I'm starting foxglove seeds at Poison Ivy Acres every spring - I love how they look with peonies and poppies.